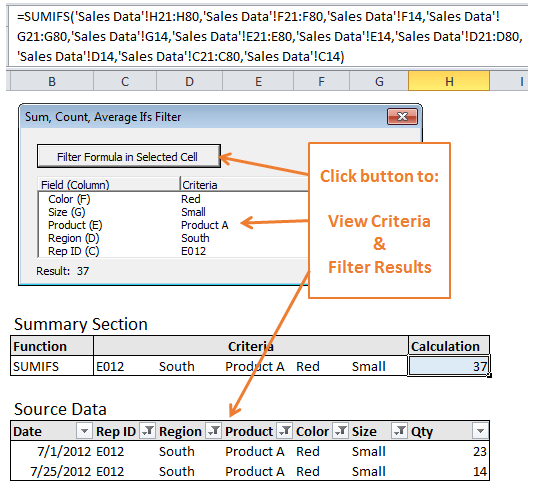 Do you spend too much time formatting the same report in Excel? You probably find yourself formatting the same spreadsheets in the same way daily, weekly, or monthly. This can be a very time consuming and redundant task. The Format Copier tool automates the process of applying page layout and formatting options to multiple sheets in multiple workbooks. And it's FREE! 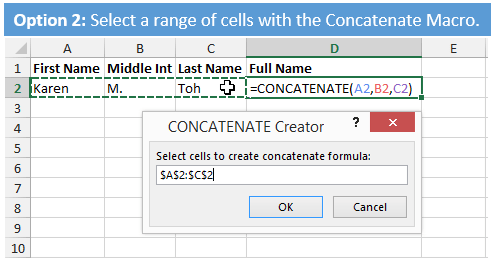 Do you spend too much time formatting the same reports in Excel? You probably find yourself formatting the same spreadsheets in the same way daily, weekly, or monthly. This can be a very time consuming and redundant task. And even if it only takes you five to ten minutes to apply page layouts or format header rows; those minutes add up and you may lose some consistency if you forget something. 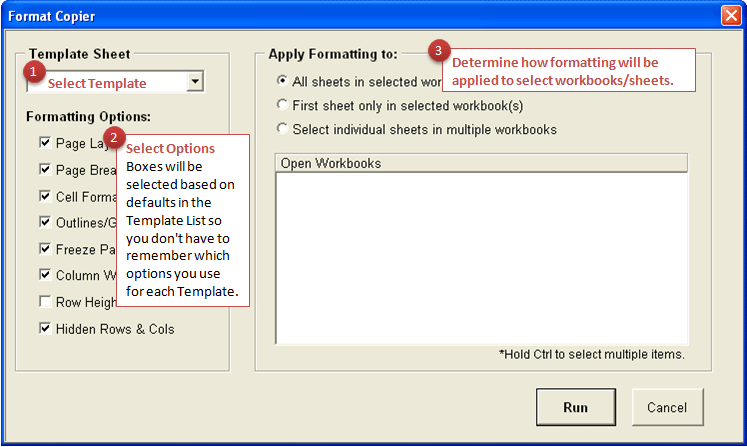 The Format Copier tool automates the process of applying page layout and formatting options to multiple sheets in multiple workbooks. And you can store your formatted sheets, which we will call templates, to use when you have to format the same unformatted reports in the future. And your formatted worksheets (templates) that you will use to copy formatting to unformatted worksheets in other workbooks. With the press of a few buttons you will be able to apply your template formatting to multiple worksheets and workbooks. You've probably already figured this out, but the Format Copier will save you lots of time. Especially if you're formatting the same reports over and over again. The tool is very easy to use and even stores your formatting preferences so you don't have to remember which formatting options you use for each template. 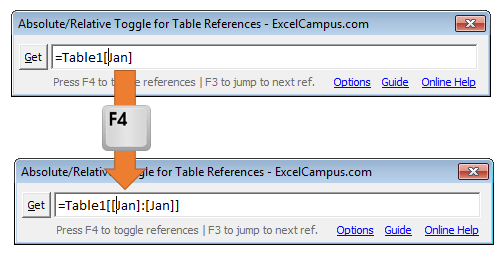 Apply page setup and print settings to multiple worksheets. Never screw up your TPS Reports again! Ok, that's an Office Space reference… And with this tool you won't ever have to worry about messing up your reports and angering your boss. You might have a general ledger reporting software that exports reports in an plain looking format, or doesn't format them at all. The Format Copier will transform these reports to your specification, making them easy to read and print. And you will produce reports that are formatted consistently, without having to dig up reports from previous months to compare. I’m not sure I understand your question. Could you explain further? Thanks! Hi! Fantastic brilliant and amazing tool!! I wish I had found this ages ago!! I was just wondering if you have a tool, or know of a tool, where you can have the template with several potential fields, and select which ones will apply to which sheets? In my case, I have a report I work on, which covers 24 different branches, with 36 different programmes. Several programs share fields, such as total clients, gender break up etc, but several have unique fields as well. Do you know of a good way to handle this? Thank you very much for a beautiful utility that you have designed. I was looking for the functionality to copy header and footer with the specified formatting, just as a suggestion. I was able to insert logo (jpg) in the header by selecting multiple sheets. But if I format its size it will only affect the current sheet, not the rest of the sheets. Appreciate if you can assist on this. The tool has been updated to insert pictures/logos in the header and footer section. Version 1.2 is now available on the Format Copier download page. The picture file will have to be stored on your hard drive or server, as the file is inserted in the header/footer during the formatting process. See the help page for more details and let me know if you have any questions.